The Filbert paintbrush is a paintbrush used in artwork. It has a thick ferrule and hairs that are, on average, medium to long hairs in the shape of an oval. Filberts are particularly effective in blending work, usually of a figurative nature. The Filbert paint brush, sometimes referred to as a Cat's Tongue, has a round outer edge. The Filbert's shape can vary from a flatter brush with a rounded outer edge, to an almost oval shape, to more of the Cat's Tongue shape that comes to somewhat of a point for more control. 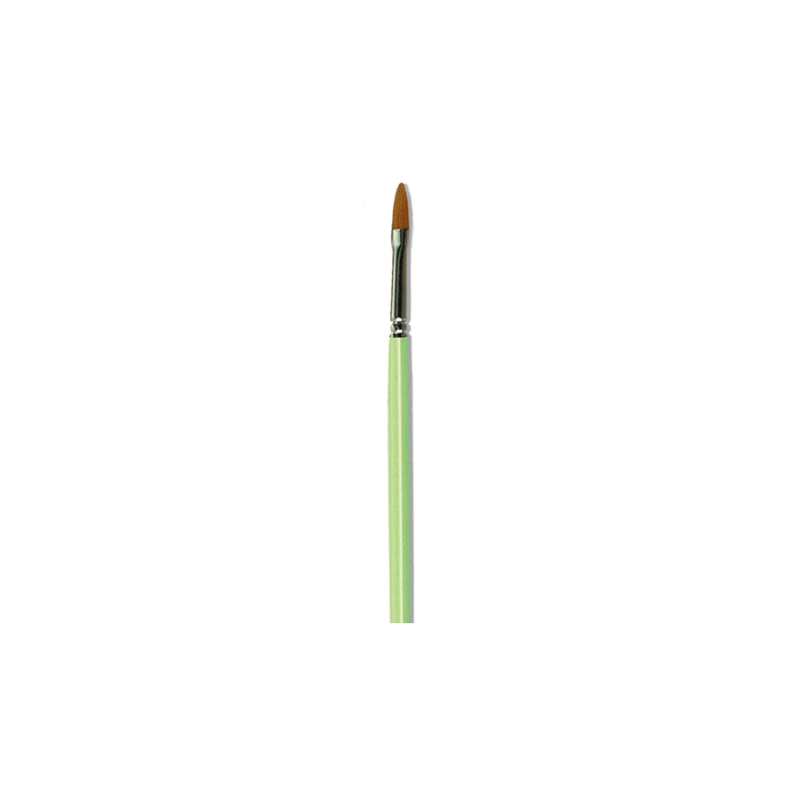 Filbert brushes are sometimes considered a more advanced artist paint brush because it can take the place of Flats or Rounds depending on how the brush is held. You can blend broad strokes into fine strokes by turning the brush as you paint. This of course takes more control but has the advantage of not having to switch brushes as often.